There is no doubt that No Man’s Sky has been one of the year’s most controversial games, as this indie space video game has been accused of not living up to expectations, and was criticized even before its release by users who had gotten hold of early copies of the game. Actually, one of the game’s big selling points was that it would offer bazillions of planets to explore in a huge galaxy, which players could explore to their heart’s content, engaging in space dogfights and coming into contact with hundreds of alien species on the game’s myriad worlds. In the end though, and despite the game’s huge day one patch, things turned out to be quite different. The game’s planets got repetitive rather quickly, and No Man’s Sky first-person combat and space dogfighting were not up to much, while gathering minerals and cataloguing alien species got old quickly. 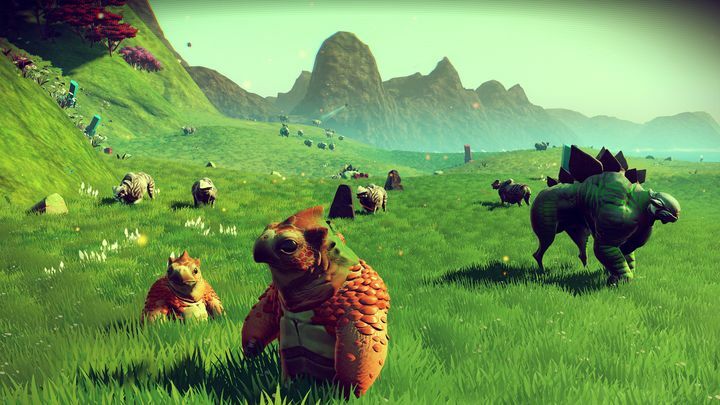 This led to the game being dissed by irate gamers online, and also got No Man’s Sky average review scores from websites like IGN, which said in its review that “No Man’s Sky reaches for the stars but falls short by light years”. So the game has turned out to be one of the year’s top video game disappointments then, and now adding to the game’s troubles is the fact that one player (who uses the handle AzzerUK on the Reddit forums) has issued a complaint to the UK’s Advertising Standards Authority (ASA), according to PC Gamer. 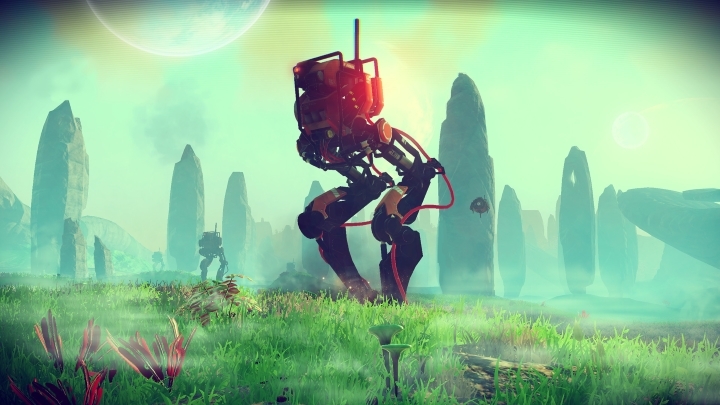 It promised the world, but sadly No Man’s Sky has ended up becoming one of 2016’s major disappointments. And while it is clear that most games look bigger and better in online advertising than they do on one’s TV or computer monitor, AzzerUK’s claim is based on the fact that the final version of the game was lacking features that players had expected, based on the description and images on No Man’s Sky Steam store page. Such features include “behaviour of ships and sentinels”, “large-scale combat” and the design of the game’s UI (User Interface), which the ASA will be looking into. If found guilty No Man’s Sky creators and Valve (who’s behind the Steam store) won’t be able to advertise the game in this manner anymore. Also, this would certainly be slightly embarrassing for a major company like Sony, which is the publisher of the PS4, disc-based version of the game and which also backed developer Hello Games and clearly had faith that No Man’s Sky would succeed. Speaking about the game, Sony president Shuhei Yoshida said that “I understand some of the criticisms especially Sean Murray is getting, because he sounded like he was promising more features in the game from day one”, and also that “I could see the struggle for the developers to get the game out in the state that they wanted”, suggesting that maybe players had unrealistic expectations about the game, and that perhaps Hello Games had bitten more than it could chew with No Man’s Sky. In the end though, while it is clear that No Man’s Sky wasn’t a bad game by any means, it still failed to live up to expectations, and has disappointed many a gamer in 2016. But hopefully future patches for the game will come closer to delivering what was originally promised, and improve things for those who got hold of a copy of No Man’s Sky earlier this year.